Today you’ll board your coach and take a look around Christchurch. 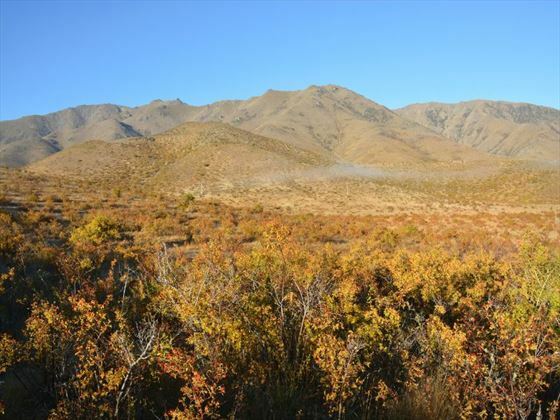 The city is enjoyed a prolonged period of renewal after damage caused by the earthquake in 2011. 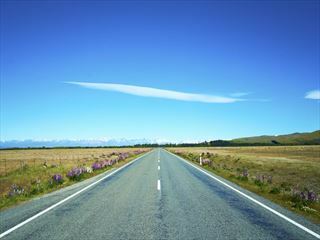 Later on you’ll visit Lake Tekapo and Pukaki, before enjoying a trip to the Church of the Good Shepherd. 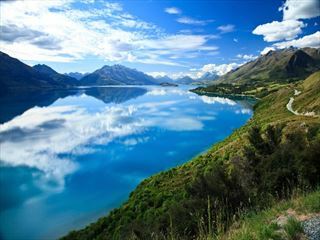 Finally you’ll take in some of the scenery in Mount Cook National Park. 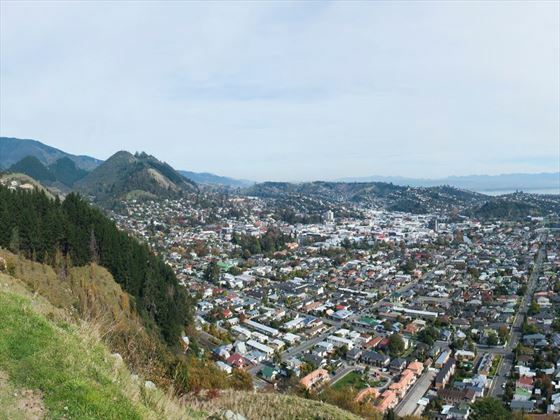 On day three you’ll travel down to Dunedin for a tour of the city. 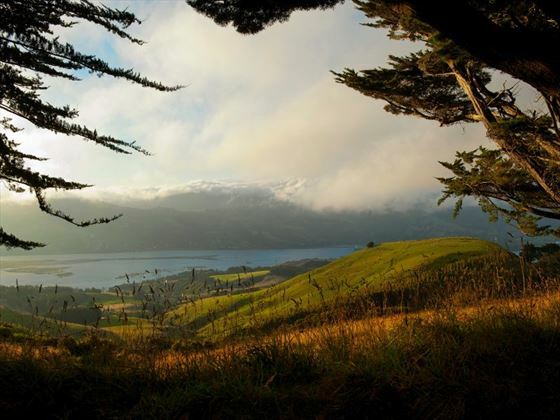 As a part of the tour you’ll see the stunning Railway Station as well as New Zealand’s only castle, Larnach Castle. 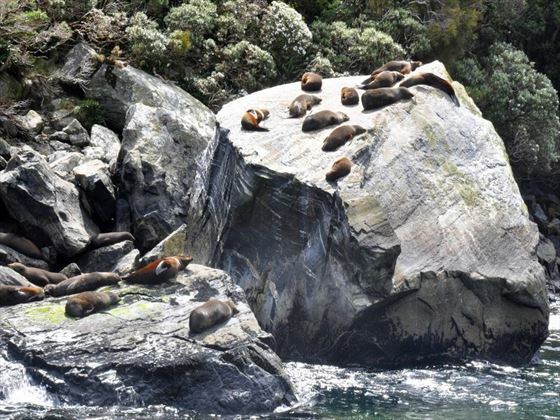 Today you’ll head from some of New Zealand’s most startling natural beauty as you enter the Fiordland National Park. Here you’ll find ancient glaciers, towering mountains and verdant forests. 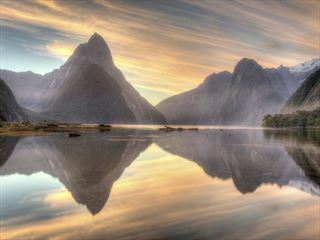 You’ll take an overnight cruise on the Milford Sound which will take you past Bowen Falls and Mitre Peak. Note that between June and early September there is no overnight cruise – instead you’ll take a day cruise followed by hotel accommodation in Te Anau. On day five you’ll reach Queenstown, the adventure sports capital of the world visiting the Te Anau Glow Worm Caves on the way. 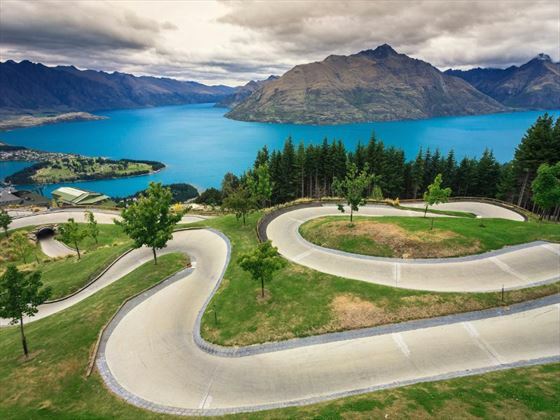 You’ll stay in Queenstown for three nights enjoying a multitude of activities including everything from bungee jumping and skydiving to jet-skiing and windsurfing. On day 15 you’ll travel past Lake Taupo and the Huka Falls before arriving in Rotorua. 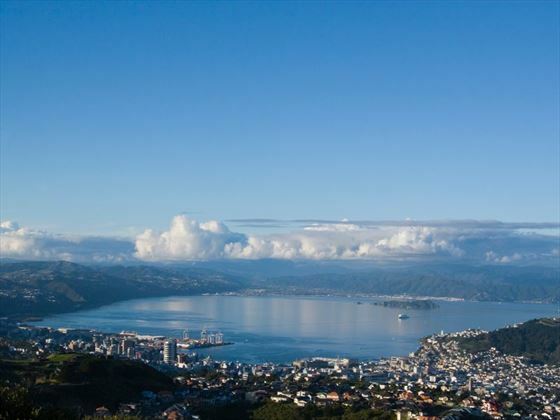 On arriving you’ll take a tour of the city with features lovely views of Lake Rotorua. In the evening you’ll enjoy a traditional Maori Hangi feast and concert. Staying for two nights, on day 16 you’ll have plenty of leisure time to enjoy some of the other sights in the area including Wai-O-Tapu Thermal Wonderland and the famous Lady Knox Geyser. Early today you’ll head to the Agrodome Sheep Show for an interesting look at agriculture in New Zealand with demonstrations including sheep dog and shearing. Afterwards you’ll head to Matamata for further insights into farming. Enjoy a lunch at Longlands Farm and then head on to the impressive city of Auckland. 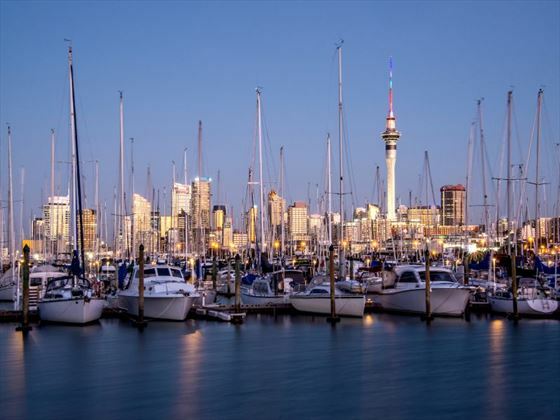 Take in a city sights tour to see Bastion Point, Viaduct Harbor and Auckland Harbor Bridge. 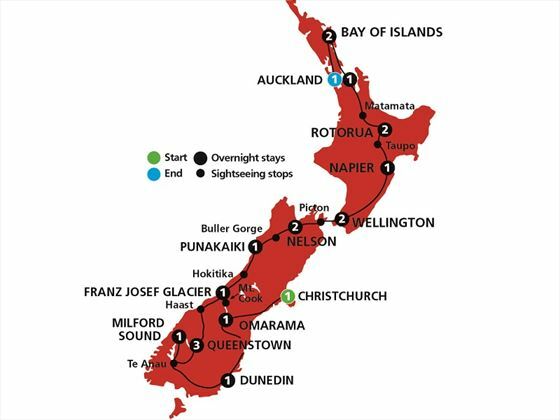 On day 18 you’ll depart Auckland and head along the stunning Hibiscus Coast. Stop off to walk among the Kauri trees in Parry Kauri Park and then carry on to Whangarei, New Zealand’s most northerly city. Later you’ll visit Paihia in the lovely Bay of Islands and then take a scenic cruise to Cape Brett to see the famous Hole in the Rock. 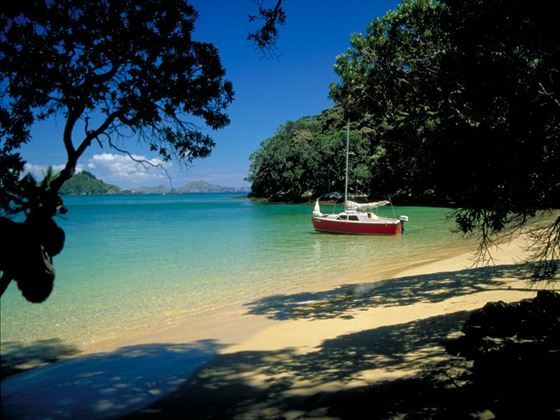 Day 19 is free to explore the rest of the Bay of Islands. 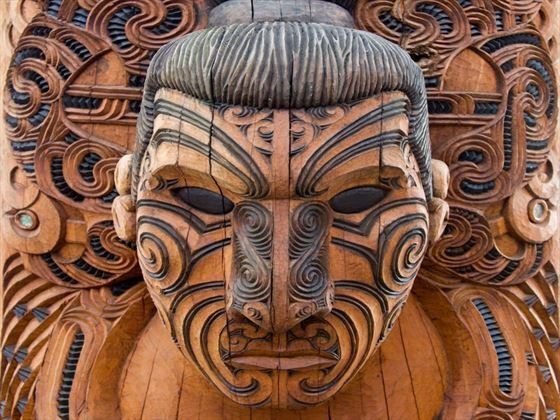 In the morning you’ll travel to the Waitangi Treaty Reserve where New Zealand’s founding papers were signed. Later on you’ll return to Auckland for a relaxed farewell dinner with your tour group. Today you’ll transfer to Auckland airport for your flight home.